Michael L. Brown is the founder and president of FIRE School of Ministry in Concord, North Carolina, Director of the Coalition of Conscience, and host of the daily, nationally, syndicated talk radio show, the Line of Fire, as well as the host of the apologetics TV show, “Answering Your Toughest Questions,” which airs on the NRB TV network. He became a believer in Jesus 1971 as a sixteen year-old, heroin-shooting, LSD-using Jewish rock drummer. Since then, he has preached throughout America and around the world, bringing a message of repentance, revival, reformation, and cultural revolution. Dr. Brown is the author of more than 30 books, including, Our Hands Are Stained with Blood: The Tragic Story of the “Church” and the Jewish People, which has been translated into more than twelve languages, the highly-acclaimed five-volume series, Answering Jewish Objections to Jesus, a commentary on Jeremiah, and numerous books on revival and Jesus revolution. 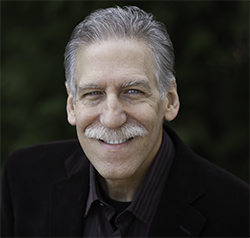 His newest books are Not Afraid of the Antichrist: Why We Don’t Believe In a Pre-Tribulation Rapture (2019) and The Power of Music: God’s Call to Change the World One Song at a Time (2019). He and his wife Nancy, who is also a Jewish believer in Jesus, have been married since 1976. They have two daughters and four grandchildren.